The voice exploded in her mind, sending the woman’s train of thought scattering like a startled flock of wherry. 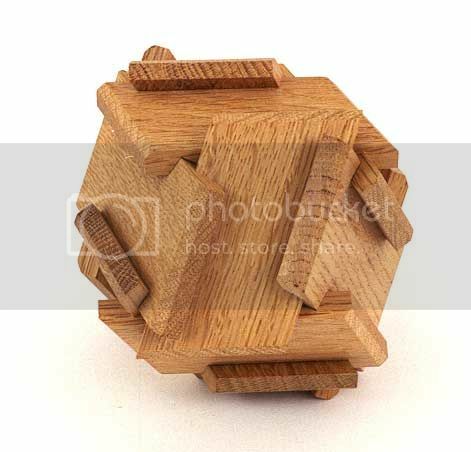 Long fingers convulsed around the wooden puzzle in her hands and were she not so terribly familiar with the forceful sound it would have been jarring. It HAD been at first, but the dark eyed woman had learned quickly to love Sunoths powerful demanding tone. It cut through all other thoughts impossible to ignore. The sound full of the greens infectious energy, full of her love-able to pull the blonde from even her deepest thoughts. Smiling faintly Lansi’s long fingers carefully slide that last puzzle piece into place. Finished! She slide the knife back into its sheath in her boot, all the pieces finally fit perfect! The extra time shaving down the edges had paid off. Yes my wonderful green? Are you finished sunning now? She’d felt the dragon’s contentment on the ridge, felt the familiar tug of sleep on the beasts mind. Too deep in her own thoughts Lansi hadn’t realized the green had woken. She’d slept surprisingly long. No doubt in part to the poor blue she’d draped herself over. Sunoth always slept better if she could curl up with Lansi or baring that use another dragon like a pillow. Thankfully there were enough beasts willing to indulge the green. She barely got enough rest as it was. I’m done that now! The greens voice exploded cheerfully in her mind earning another of those little smiles that the Telgar bred woman loathed to share with any but her dragon. Only Sunoth knew her completely, loved her completely. It was more than Lansi could have ever hoped for and she marveled and thanked fate for it every day. Come join me by the river for a bit, the new riding straps should be dry soon and if they fit right we’ll go for a flight. It was a new rigging system the woman was trying, less buckles and adjustments. When the green had been growing constant adjustment had been important, necessary. Fully grown Sunoth’s hide no longer grew overnight and she maintained a consistent enough figure that Lansi hoped an easier strap system might save time when the green grew impatient. Plus there were extra loops for carrying baskets and bundles. Of course they’ll be right! They’ll be perfect. You made them! It was a matter of fact bang in the woman's mind. 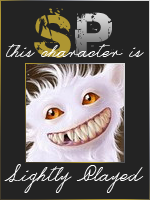 Sunoth had absolute faith always. Though Lansi knew the green would say anything to get out of yet another strap fitting. Hurry your hide up!she teased, standing up from her perch beside the river. The wind kicked up then, blowing against her back. The strong breeze offering a welcome cool. Half turning into it the blondes tresses went flying back from her face. She saw a blur of dark cloth. Right before it smacked into her face sending her stumbling back. The puzzle fell, breaking apart. Steeping back the woman reached up to yank the mysterious fabric from her face and felt the ground slid under her boot. She fell back with a yelp of surprise. One moment she'd been standing by the bank of the river. The next she was sitting up to her shoulders in it, soaking wet and none to pleased. "Blood and ashes!!" she stood sharply, left boot sinking in the soft riverbed. It sent Lansi stumbling forward in the water this time. Nearly falling. Splashing as arms wheeled to keep her upright. She caught sight of movement on the bank and looked up, cheeks red and eyes full of fire. Shard it all! Alerae was walking along the river's edge, enjoying the cool breeze coming off of the water. Sometimes it was simply too hot down here, and she longed for the colder climate of her home in Fort. She sighed, clutching the dark blue shawl a little closer around her neck. She loved it down here, really she did, but sometimes the desire to return home hit her hard. If she hadn't been taken by that Greenriding wench, she would have enjoyed the opportunity to be a dragon Candidate. The allure had all but worn off for this girl though, as it had been many turns since she was supposed to have Impressed this magnificent dragon, and all she had to show for it was a couple of children and no husband. She spotted a figure farther down, and a small smile curled on her face. It would be nice to pass the time in some idle chatter. She needed a chance to relax and just focus on the inconsequentials. She closed her eyes and turned her face to the sun, her feet knowing the path she walked nearly every day. While it might be hot and muggy today, it was not like this all the time. Honestly, it was usually quite pleasent. She opened her eyes again and focused on the figure ahead of her. Well, she was close enough to see that it was probably female, but sometimes you could never tell. She wasn't close enough to identify who it was yet. At this time, a stronger breeze came up behind her and caught the poor girl unawares. It whipped the shawl right out of her hands and drew it alon before her, the shawl twisting as it flew. She gasped as it flew right into the face of the person who had just rose, and she finally identified as a female, probably a rider from her dress. Alerae winced as the other woman stumbled and fell into the water. "Oh dear me," she said to herself, and lifted her skirts enough to be able to run. She arrived as the woman stood and then nearly fell again. Alerae clapped her hands over her mouth, her eyes widening in alarm. "Oh dear me," she said again, "I'm dreadfully sorry about that. Are you alright, darling? Would you like some help?" As she spoke, her eyes were on the mud at the river's bank and she grimace. She looked up again. Oh, it was...Lansi. She didn't much like her on a good day, and today was definately not a good day. She twitched her head and smiled though, as a lady never lets dislike come in the way of someone needing help. No. She was never that lucky. It was an effort but the woman eased the scowl on her lips, smoothed her forehead. The only thing more irritating than bumping into the other woman in such a situation would be letting her see how annoyed she was…if it wasn’t already obvious. The thought sent a momentary scowl flickering across the blonde’s lips. Then she was pleasantly blank. “What are you sorry for?” the question was far too innocent, those dark eyes going wide and questioning as she regarded Alerae. Of course it was her fault. Her stupid shawl. Dark eyes flicked down to the useless accessory. In Lansi’s flailing it had partially wrapped around her wrist….but that wasn’t the only reason she hadn’t ever so innocently let it go. Riiiight. She carefully took a step toward the shore trying not to fall or think about how stupid she probably looked… it was hard to be anything but awkward when your feet kept sinking into the muddy riverbed. “Oh! I guess this is yours then huh?” she lifted an arm and the cloth came half out of the water. Glancing between the shawl and the woman a moment Lansi took another step across the river. Only half sinking. It was an improvement. “It’s funny you know you have such good taste! I hadn’t realized it was yours. You weren’t throwing it away were you?” she smiled and it was nice and empty. On rare occasion the green rider wondered if wool headed women like Alerae weren’t as vapid and idiotic as they seemed. Maybe they were just good actors. Maybe they’d learned the lesson she had, that honesty was a policy for fools. It never ended well. Of course they always managed to do some chit wit thing like throw shawls in her face and she was promptly reminded that those foolish women were the genuine article-empty as a wineskin after Turns End. "The waters a bit chilly" a perfectly innocent observation. Sure. Alerae took a step forward as Lansi struggled to get out. Her expression was purely concerned. She honestly did want to help, despite not liking the greenrider. She winced as she felt the toe of her shoe slip a little as she hit the mud. She hiked up her skirt, showing an unladylike amount of leg so that she could keep it mostly out of the water and mud. She slowly crept closer, hesitating as she stood just outside of the water. She closed her eyes briefly and shuddered. Mud was so horrid, and it took forever to get out of cloth. She mentally cursed the wind that put her in this position, and cursed the fact that it was Lansi. She took a deep breath and composed herself, then looked back at the greenrider. "Yes, darling, that is mine. I do apologize. The wind came up and took it from my hands." she said, explaining. She didn't for one second believe the look in her eyes, but she decided to try and be kind either way." Lansi, here. Give me your hand, and I'll help you out. The water is probably chilled, and this mud is slick. I can steady you." she added, reaching out with her hand. The shawl didn't really matter, as it was durable enough to survive.